It is noon on the third of August and it is 36 degrees Centigrade under the French pre-Alps by Lake Annecy. I am naked in the kitchen, making peach ice-cream. I consider opening the window, but it is only 28.5 degrees in the house. A mirror backs the hob so I am careful to use my core as I whip, and judiciously practice my kegels. (Slight tangent here: In this heat, I have discovered that the only way to stay cool is to lie in the pool on an inflatable pink airbed in the shape of Venus’ shell, wearing a hat and pair of over-sunglasses over my sunglasses, reading “The Dublin Review.” In the spring issue, Doireann Ní Ghríofa describes a difficult childbirth in the Cork University Maternity Hospital (CUMH). When my friend was the Manager of the CUMH, I threatened to sneak in and put a sticker by the lowest button in the elevator, marked “Pelvic Floor”). My husband comes in and says “That’s a good look.” I tell him it is not only edgily fashionable (well, there are actually no edges) it’s the only canicular look for these climes. It’s also the only way to eat ice-cream….make it yourself so you are not ingesting nail varnish remover, paint solvent thickener, lice killers, hydrogonised glucose fructose syrup, modified maize flour, xanthate and guar gum, aspartame, disodium phosphate, propylene glycol and sodium benzoate, modified and hydrogonized fats, soy lecithin, dextrose, hydrolysed peas, carrageen and turnip. 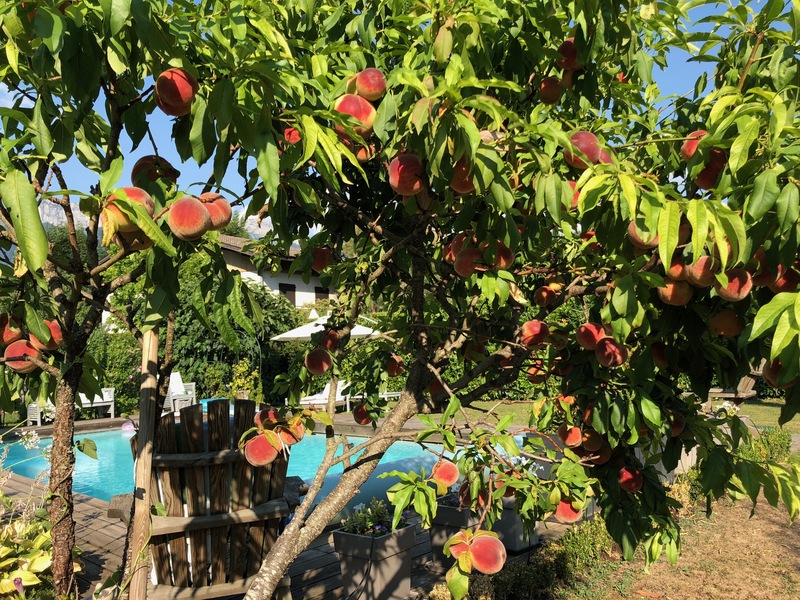 My ice-cream consists of the whites of organic eggs, a little icing sugar, tubs of cream and Fromage Blanc and a few Petite Suisses and peaches I have just picked from a tree in the garden. I will serve it with Creme de Peche (alcohol does not freeze) ladling it with a fork. The ice-cream, and I, are just peachy.